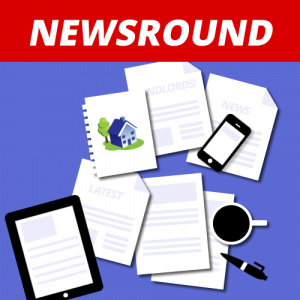 Most of the housing-related news this week seems to be on reports about various issues. So let’s take a look at a few of them. Many housing cases involve complex technical arguments on the law of contract, tort, equity and public law, and these are best heard in a mainstream civil court. They all sound sensible. What do you think? A report today in Property Industry Eye shows businesses are concerned at the negative impact of the housing crisis on their businesses, 55% saying that they have lost staff because employees either cannot afford to live in the area or are unwilling to commute. According to 1,000 executives polled by Strutt & Parker, 73% say they are struggling to recruit. Solutions under consideration including investing in housing for staff or relocating to a cheaper area. The businesses say that the cost of housing has had three major effects on them – it has forced them to pay higher wages, resulted in a lack of skilled workers, and slowed their expansion. Strutt & Parker also found that housing costs are a deciding factor when it comes to employees deciding whether or not to accept a new job, with 85% saying that it is a critical issue. Well, Ben and I have been predicting this sort of thing for a while. The Institute for Public Policy Research has published a report calling for England to follow Scotland and abolish the no-fault section 21 procedure for evicting tenants. They also want to prevent landlords from evicting a family for the first three years if the only reason is to sell the property. Meaning that landlords would only be able to sell to another landlord with the tenant as a sitting tenant. Despite the growth in private renting, the regulation which governs it is unfit for purpose. Families are exposed to expensive, often poor-quality accommodation and tenants face the threat of a no-fault eviction, with significant costs and practical impacts, including school moves for children. Increasing security for tenants through an open tenancy and preventing landlords from evicting to sell in the first three years of a tenancy will give much greater stability to families who rent privately, enabling them to make better homes. Hmm. I wonder how many landlords would sell up in advance if these reforms were ever made? The government has been planning on raising the minimum energy rating of rented properties to level C by 2030 but Ministers have been told by ARLA that this is unrealistic. The cost of works to bring properties to this level would be uneconomic and many landlords would sell up to avoid this. As it stands, the Government’s target for all private rented homes to have an EPC rating of C by 2030 will not be met. With the collapse of the Green Deal, the private rented sector has been left little in the way of funding in order to raise energy efficiency within the tenure. The IPPR report if accepted and becoming law combined with all of these other pieces of legislation is slowly but surely pushing the PRS into a situation akin to the totally discredited 1967 Rent Act, which was pure spite from the vile Harold Wilson, and that all ended well didn’t it!!!!!!!!!!!! Interesting that the civil justice council cites a lack of court resources, when the Guardian, more accurately in my view, cites a simple lack of courts, albeit it magistrates courts but we also know about the significant loss of county courts as the real estate is sold off. And as for tenants lacking proper legal advice I refer the honourable gentleman to a list that came my way last week showing just 17 legal aid housing firms in the whole of London, while the Guardian piece also reveals the astonishing fact that the MoJ itself is under criminal investigation for failing to publish its full report on this mess. As 90% of evictions are arrears related, I think two months rent arrears should be an automatic rubber stamp possession order. Rent to be paid to the property redress scheme in cases of genuine dispute. It would halve the court property case loads, lower rents for the vast majority of honest tenants and make more properties available to DSS tenants. And Section 21 ‘No Fault’ evictions would largely disappear.